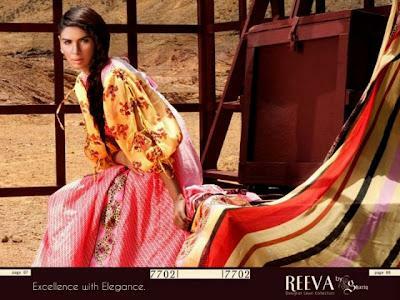 Shariq Textiles has recently launched Reeva Designer Summer Lawn Collection 2012 for ladies. Shariq textiles is a widely known textile industry of Pakistan that also launches its various designers collection. The stuff of Shariq textiles is of high quality & is long lasting. According to Shariq Textiles These are the prints of the moment for you that come in colors & fun prints to counteract any coarseness. This stunning & glamorous Reeva Designer Lawn collection by Shariq textiles included fashionable outfits in vibrant yet beautiful colors that are worth to watch & according to latest fashionable fashion in Pakistan. Dresses are adorned with the embroidery work on front & neckline. The collection includes A-line shirts, long frock, salwar kameez, long shirts with Churidar Pajamas & trousers fashion is high lighted. The prints are digital & mind blowing. The collection is available on 9th June 2012. The feature model of this stunning collection is Neha Ahmed. 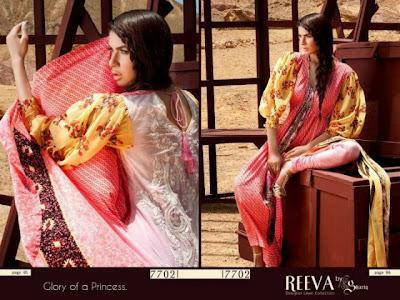 Lets have a glance at Reeva Designer Lawn Prints 2012 by Shariq Textiles..